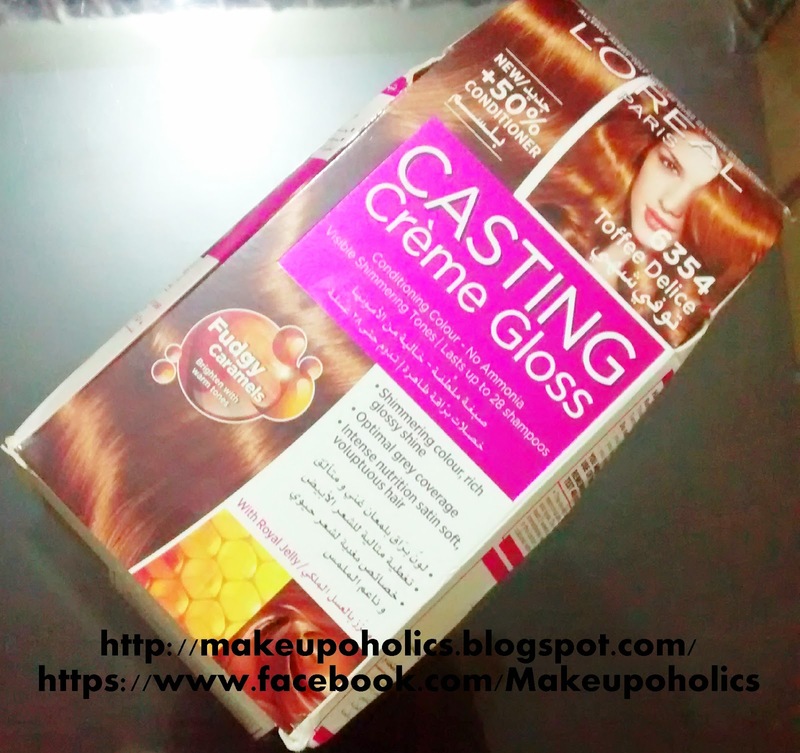 [Karachi: 23rd June 2014] L’Oréal Paris, the world’s leading Beauty Expert, launches their irresistible Caramel Mania hair color shades from their hair color signature, Casting Crème Gloss. The caramel shades are made up of an inseparable duo of melted tones and sweet notes. It naturally warms up brown shades with gorgeous copper and golden tones. Caramel mania is available in two delicious shades from the Fudgy Caramel collection: Maple Caramel and Toffee Délice. Now lighter brown and darker blondes can be luscious and glossy glossy! 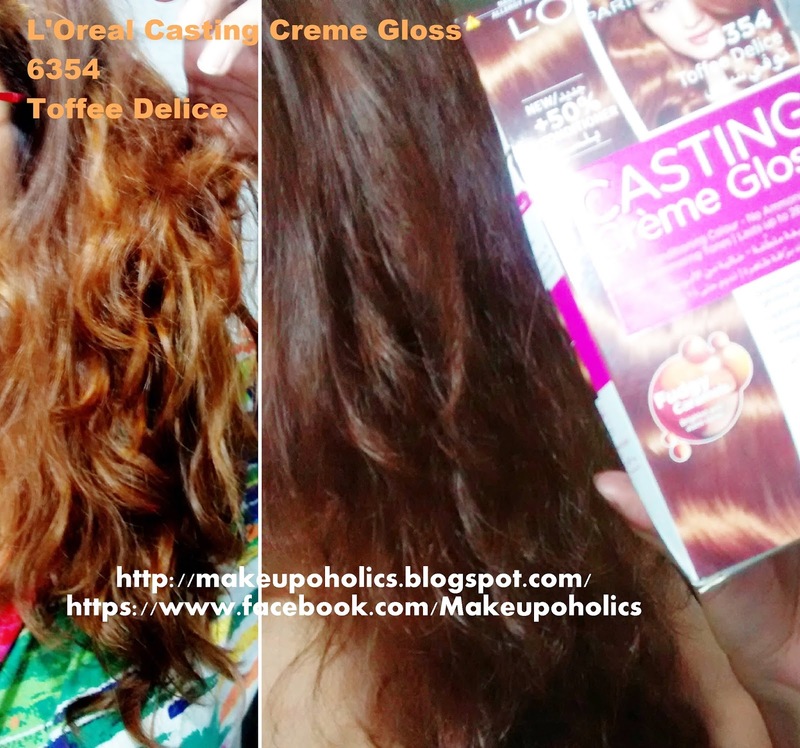 Casting Crème Gloss hair color is specially designed for first time hair color users. Its no ammonia formula protects the hair from damage and comes in an easy to apply format. It is also infused with Royal Jelly extracts that gives your hair exceptional softness along with a sleek and a glossy shimmer. 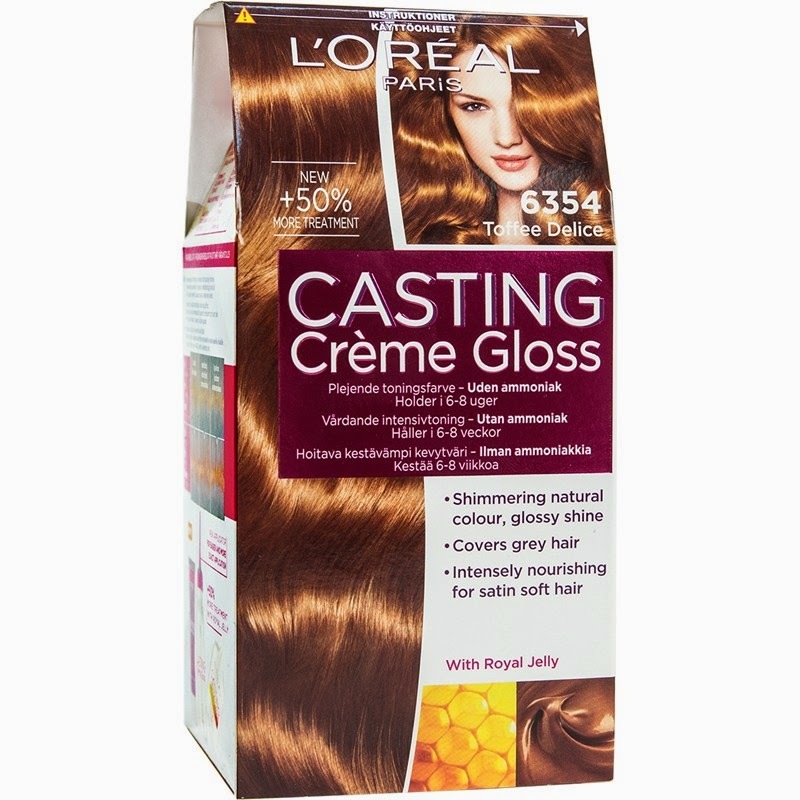 Casting Crème Gloss hair color is available at all leading stores at PKR 999. From my previous Hair Chalking Post and other Hair posts , you all may know that how crazy I can go for hair coloring . I absolutely love to change the color of my hair. My last Hair experiment was truly a mess( will share details in a post soon ) This time , i wasn't up to any wild experiments and simply decided to get a decent nice hair color . My actual hair color was once honey golden brown type ... i so wanted to get a hint of that . 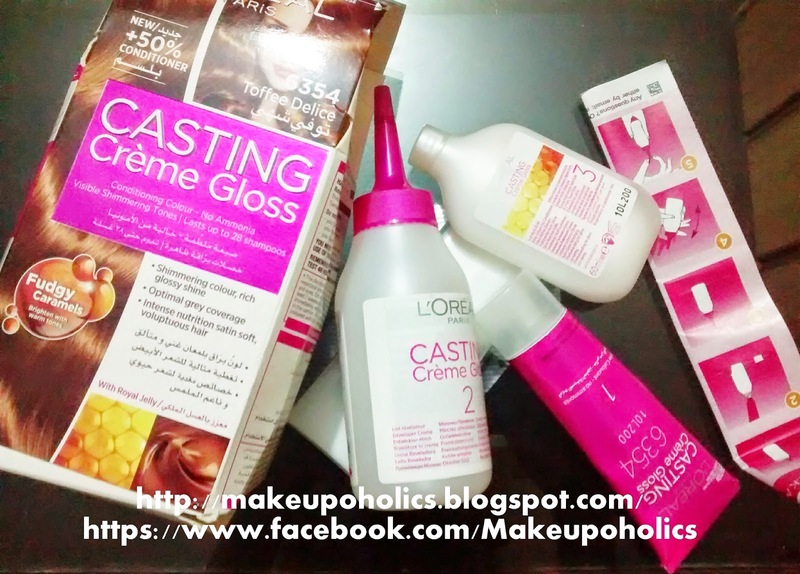 My search was ended after finding L'Oreal new caramel mania.So I decided to give it a try. 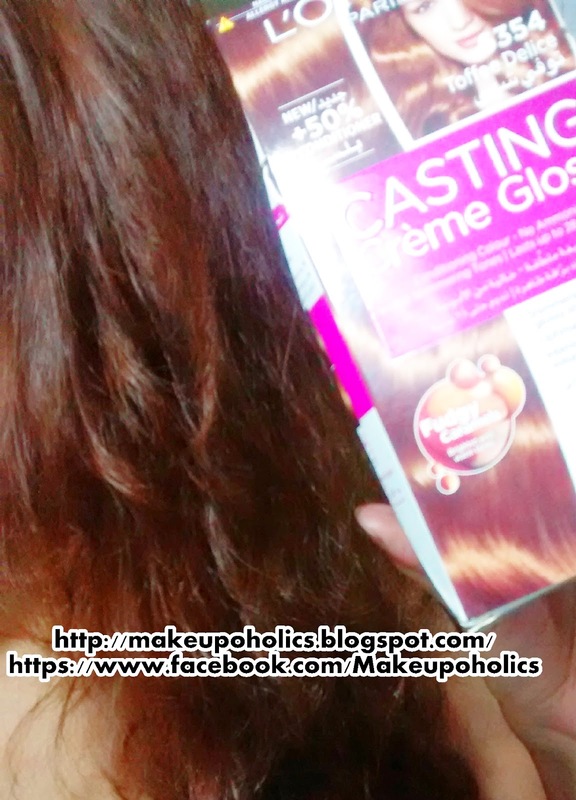 To get the maximum results , its better to leave the colour for a little longer then the time mentioned on the box. 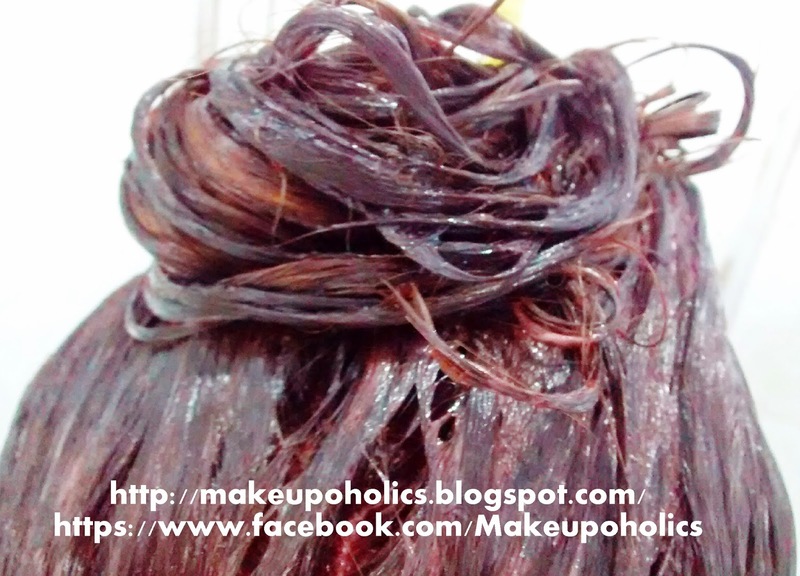 Wash your dye with a normal not so warm water ... hot water can not only damage your hair but will reduce the gloss and colour in your hair . This is beautiful. Results are great. I was about to have a hair color. Just confused which company to choose. Foremost thing is I thoroughly visited some of your blog pages and posts. I'm extremely inspired. Great work. Best of luck. 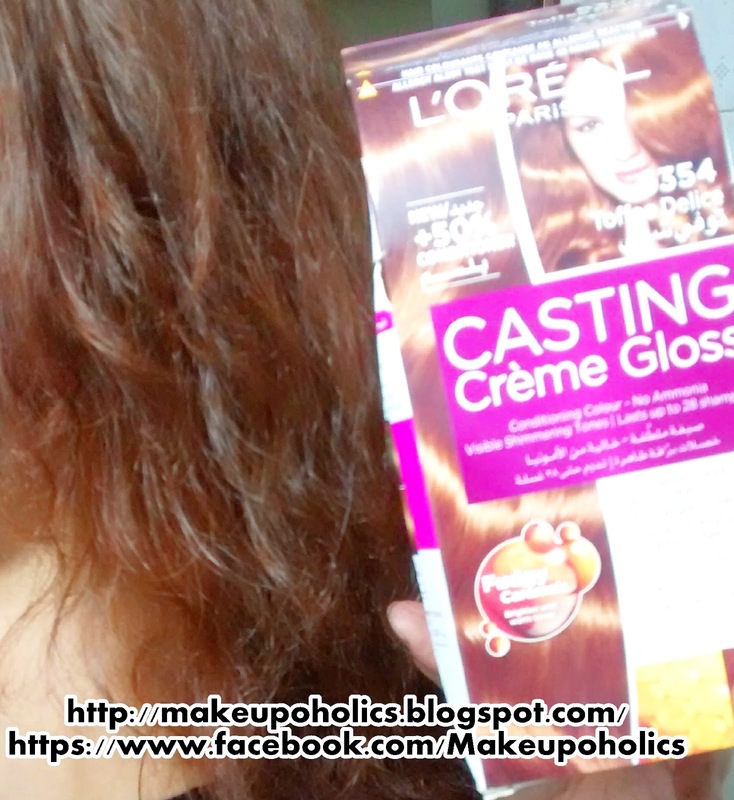 Will it turn out on dark brown hair?